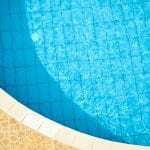 If you are looking for pool liner replacement or need help with water testing in Cornelius, we’ve got just the swimming pool services you need. If you are looking for great swimming pool services to keep your pool looking and feeling great this summer, turn to us at Cayman Pool & Spa for all your pool servicing needs! With more than a decade of experience providing our customers with complete swimming pool services in Cornelius, North Carolina, we have the expertise to ensure that your pool is always in great shape before, during, and after the swimming season. Even if you have typically completed your own swimming pool services, like adding chemicals or changing your pool pump, there can be lots of reasons to begin calling on us instead. For example, if dealing with pool opening and closing is too much of a hassle, we can handle it! Or, if you are looking for pool liner replacement or need help with water testing, we’ve got just the swimming pool services you need. By working with us to keep your swimming pool in great condition, you’ll find that you save time and money and can simply begin to enjoy your pool when the time is right. Another great reason to work with us at Cayman Pool & Spa for your swimming pool services is that we have two convenient locations in Mooresville and Concord, just a short drive from the Cornelius area for the pool supplies you need. We make it easy to achieve the best from your swimming pool and spa all year long! Contact us at Cayman Pool & Spa today if you have questions about our swimming pool services or to schedule an appointment with our experienced team. At Cayman Pool & Spa, we offer swimming pool services in Cornelius, Mooresville, Concord, Davidson, Harrisburg, Huntersville, Kannapolis, Statesville, Troutman, and the Lake Norman area of North Carolina.